Prevent hearing loss by reducing harmful noise levels evenly by 12dB across the spectrum. Hear music and speech with crystal clarity while protecting your ears. 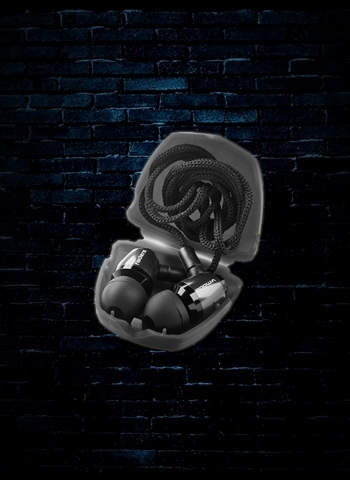 Featuring four sizes of universal fittings (XS,S,M,L) and tuned by professional DJs, producers and doctors, Faders are the world's finest earplugs. V-MODA products all have a story and are developed based on modern customer's needs. Faders were fine-tuned for nearly two years by a legion of professional producers, musicians and DJs in real-life environments, labs and on the road. V-MODA's founder and DJ, Val Kolton developed the Faders with world-renowned musicians Erick Morillo and the Manufactured Superstars. Their missions was to make an affordable, universal earplug that performs better than expensive custom earplugs.